Religion is part of the fabric of Canadian society; Canadians hold a plurality of beliefs. The most recent census data (from the 2001 census) show that Christianity remains the most widely held and practiced religion with Roman Catholics in the majority at 43.2 %. People of non-Christian faiths make up a tiny percentage of the population: Muslims 2.0 %, Jewish 1.1 %, Hindus 1.0 %, Sikhs 0.9 %, Buddhist 1.0 %. Freedom of belief and conscience is enshrined in Canadian law; it is guaranteed in the Charter of Rights and Freedoms in section 2 Fundamental Freedoms. That said, it is important to note that religion is a matter of private conscience. Canada is a secular nation-state. There is no state religion in Canada. Religious belief is something one chooses; no one is forcing you to adhere to a particular set of ideas and the rules of any specific religious institution. Issues are arising in the present over the accommodation of religious folk in the secular, public realm of Canadian society. I was introduced to a broader range of religious beliefs in Canadian society when I enrolled at Queen’s University in 1980. Queen’s College was founded in 1841 by the Church of Scotland to train Presbyterian clergy. In 1912 Queen’s College separated from the Church of Scotland, becoming the non-sectarian Queen’s University it is today. However, the Queen’s Theological College remains, a school on campus that trains clergy for the United Church of Canada (the Church of Scotland merged with various Methodist and Congregationalist churches in Canada in 1925 to become the United Church of Canada). Religious life is part of the experience for students and faculty at Queen’s University. The university has a non-denominational chaplaincy. Christians of the various denominations at Queen’s University are ministered to by chaplaincies adjoining the campus. For Roman Catholics there is Newman House; for Anglicans there is St. James Church; for the Christian Reformed Church there is Geneva House; Orthodox Christians were ministered to (when I was a student) by a Russian Orthodox priest, Father Basil Zion, who was on the faculty at the Queen’s Theological College. 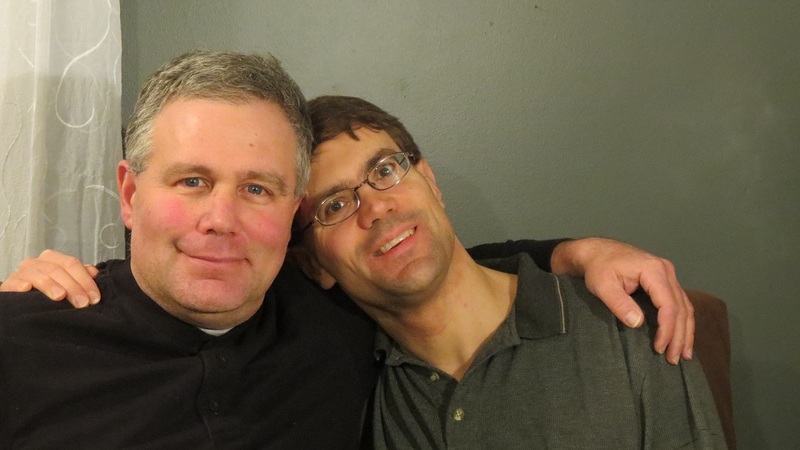 He held liturgies for Saint Gregory of Nyssa Parish in his own home. The chaplaincy for Jewish students at Queen’s University is Hillel House. 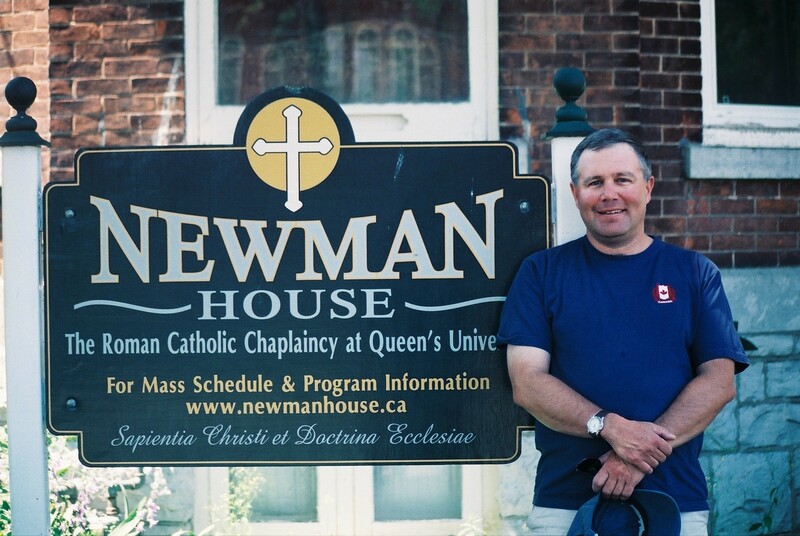 When I was a student at Queen’s University, Newman House was home to Saint Thomas More Parish. There was a chapel on the premises that could accommodate a small number of people for mass which was held daily. Saint Thomas More parish rented the use of the auditorium in Dunning Hall for Sunday mass as this drew far more people than the chapel could hold. Other space on campus was rented as needed for occasions such as the Easter Vigil. This was all perfectly reasonable. The university accommodated the needs of one of the faith groups without compromising the non-sectarian position it has held since its establishment in 1912. I presume the university accommodated other the needs of other faith groups in a like manner. In the present Queen’s University maintains some Quiet Spaces across the campus. These spaces are available for everyone on campus of all faiths or no faith to say their prayers, meditate or have a moment in the privacy of their own thoughts. This is quite reasonable and in keeping with the non-sectarian position of the university. There is, however, one fly in the ointment. There is in the John Deutsch University Centre the Queen’s University Muslim Students Association (QUMSA). Unlike the chaplaincies of the various Christian denominations and the Jewish faith, which are located off campus and funded by their respective faith communities, QUMSA occupies space on campus replete with its own quiet area and is thereby publicly funded. This clearly encroaches on the non-sectarian position maintained by the university and is inappropriate, to say the least. The Muslim community is represented in Kingston by the Islamic Society of Kingston. Nothing is stopping the Islamic Society of Kingston from establishing a chaplaincy adjacent to the campus and renting the use of space on campus for events such as Eid celebrations as needed. Currently, Muslim prayer rooms and washroom facilities for ablutions can be found on some university campuses across Canada: Carleton University, Memorial University, the University of Toronto, the University of Winnipeg to name a few. This encroachment of religion into the public realm is justified by its supporters because of the requirements Islamic doctrine imposes on the believer: that is, having to pray at regular intervals five times a day and having to perform ritual ablutions before prayer. If these facilities are not readily available on campus, it is difficult, if not impossible, they insist, for the believer to fully participate in university life. You see, having to juggle the need for prayers with schedules for classes, tutorials and studying on campus, especially if you have to leave the school to pray is unjust and is a violation of the Muslim believer’s right to practice their faith goes the argument. This argument is of course nonsensical. As stated in the opening paragraph of this article, religious belief is something one chooses; no one is forcing you to adhere to a particular set of beliefs and the rules of any particular religious institution. No one is forcing you to to take classes at university either, for that matter. In Canadian society, you are free to believe what you want or nothing at all if it pleases you. Christians and Jews, Hindus, Buddhists, Sikhs, Taoists, etc., succeed in fully participating in society, including attending classes at universities, without needing publicly funded and private spaces to pray. Allowing for publicly funded quiet areas on university campuses and other state institutions such as hospitals for use by people of all faiths or none at all is agreeable and in keeping with the right to practice religion. Beyond that, the established practice of having chaplaincies for Christians, Jews or any other faith group adjacent to university campuses continues to work very well. Nothing is stopping Muslims from doing the same.